Home > Small Claims > What Happens After a Legal Claim is Issued? A defence form. If the defendant disputes all or some of the claim he fills this in outlining the reasons why he denies liability. The response pack is sent to the defendant by first class post. If the claim was originally issued online, the defendant may respond online. Once the claim has been sent to the defendant the court sends the claimant a notice of issue. The notice of issue states the date of issue, the date the response pack was sent to the defendant and the date on which it is deemed to have been served. The defendant has 14 days from the date on which the response pack is deemed to have been served to respond to the claim. If he sends back the acknowledgement of service within this time he is entitled to a further 14 days to prepare his defence. 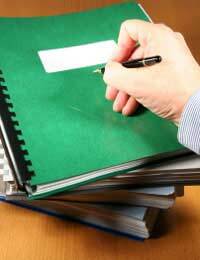 The notice of issue also contains a section which can subsequently be used by the claimant to request judgment. If the response pack is returned as undelivered the court will send the claimant a notice advising them of this. However, it does not mean that it has not been “served”. In legal terms a document has been served on a party as long as it was sent to their correct last known address. If the defendant does not respond to the claim the claimant is entitled to “judgment in default”- that is a judgment in default of a response. The section on the notice of issue for requesting judgment should be completed and sent to the court. If the defendant to a claim for a specified amount sends back the admission form, admitting the whole debt, the claimant is entitled to have judgment entered. Again the request for judgment on the notice of issue is completed. If the defendant has offered to pay the debt by instalments, the claimant states on the request form whether they accept the offer. In a claim for an unspecified amount, if the defendant makes no offer to satisfy the claim or if the claimant rejects the offer made, judgment will be entered “for an amount to be decided by the court”. It is probable that there will be a hearing at which the court decides on a monetary value for the claim. reject the proposal and ask for the whole amount to be payable immediately. The court will consider the defendant’s proposals and the claimant’s response, and decide what to do. In some cases there may be a “disposal hearing” at which both sides can make representations and the judge will decide whether the judgment should be payable immediately or by instalments. If the Judge decides the debt can be paid by instalments he will also set an amount for these. There are three different “tracks” along which a defended claim may proceed – depending on the value and complexity of the claim. If the defendant disputes all or some of the claim it will have to be allocated to a track. In most cases the court will send both parties an Allocation Questionnaire. The information in the questionnaire helps the court decide how best to deal with the case. If the claim form, defence and allocation questionnaires do not make it obvious how the claim should be treated, the court may set a date for an allocation hearing where the parties can attend and discuss the question of allocation with the judge. It is only at this stage that a claim might become a “small claim” if it satisfies the criteria for the small claims track. CCJ issued on the 9th of August, paid on 10th September. Still possible to get certificate of cancellation? @Mich1- you could take it to the small claims court. The court may look at her bank statements to see whether she has the ability to pay it back in full. We filed for judgment on an ex employee who was paid £500 in error , she refused to give the money back claiming it had been taken by her rent rent ?? She lives with her husband but on legal advise they had advised her to put the bills and rent come out of her account therefore she can only offer £1 a month back That will take over 50 years which is a joke What can we do now ? My former tenant owes more than a £1,000. He promised he's going to pay back but hasn't done so. He's deliberately not responding to an email I sent him. I have his business address which seems to be a home address. Could I start a claim based on business/home address? Or previous known address? Not a very helpful site really is it, only one response and that says "we cannot help"? What is the difference between "Day I served" and "Date of Service" as on form N125? Then this is further confused here by adding in the language of "date of issue". Is "issue" the same as "served" ? Hi, i have filled in the small claims court form et1 online, a few days ago and received response from the court as an approved claim with court dates etc. However i did not yet received the notice of issue to the respondent from the court yet. What should i do? Serve it myself? Kind regards. Hi I have issued a claim against a plasterer who did a very poor job to get my money back to pay for it to be fixed. The claim form has been returned as 'no longer at this address'. Having looked online I can see he has sold his house (as he is getting divorced) but it now means I can't trace him. I do have his email address and telephone number but he is now ignoring my texts (as he probably knows I can't find him.) What should I do now? Can I re-serve by email? I'm afraid we cannot advise upon this, you would have to follow the instructions contained in the letter.